Shopping for school supplies used to be the thing I looked forward to most when I was a kid. 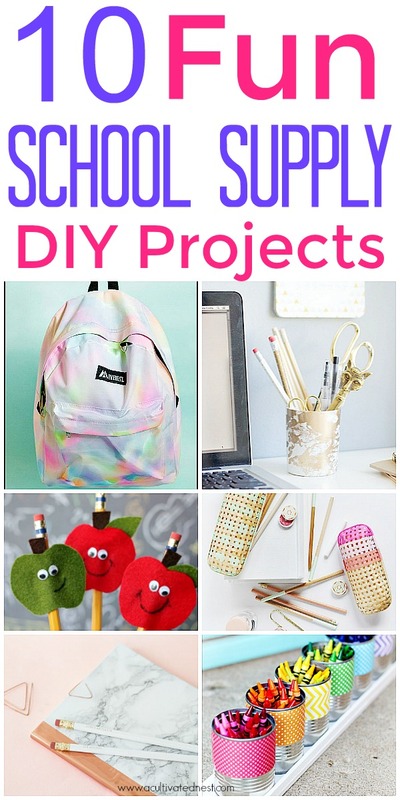 Back then we didn’t have all these cute DIY school supply projects that you could do to personalize your school stuff! A great way to get your kids excited about going back to school is to make your own personalized notebooks, organizers, pen toppers and more. Not only will you save some money by being crafty, but who wouldn’t want to have some cool school supplies to start off the school year! 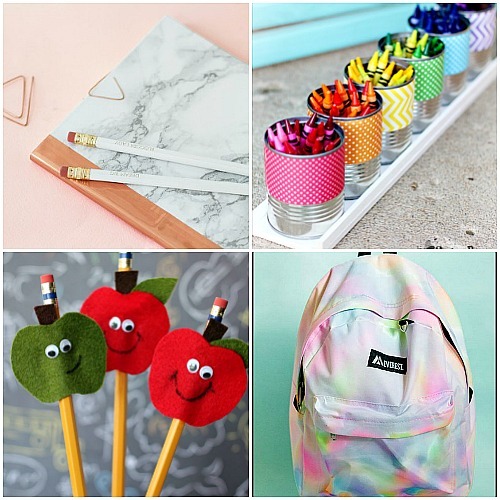 Get ready for school with these awesome DIY school supply projects! 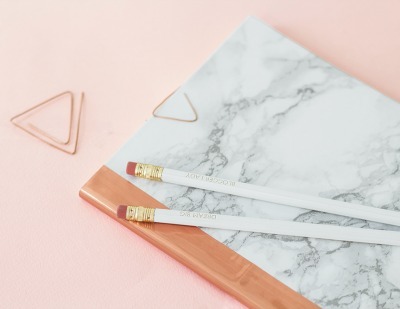 One For The Stationery Lovers shows you how to cover a plain notebook or composition book to make it look very trendy with a marble and copper combo. She also shows how to make those cool copper paper clips! These DIY stamped pencil pounches by Almost Makes Perfect are so cute and chic! 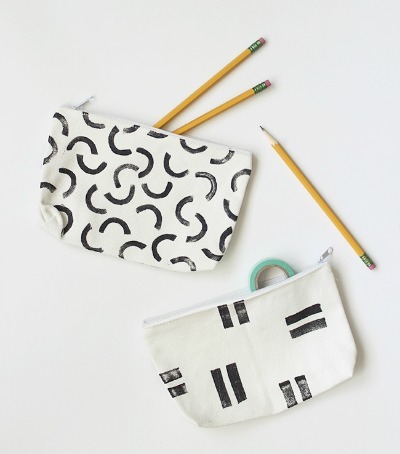 You can find blank canvas pouches for this project here. 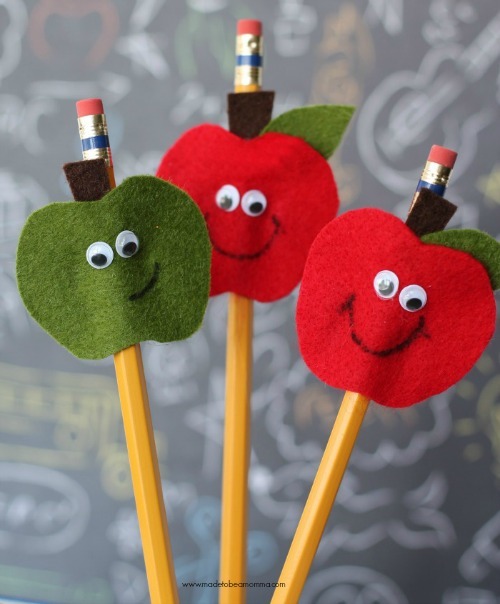 What kid wouldn’t love these cute DIY Apple Pencil Toppers from Made To Be A Momma! Easily spruce up some ordinary pencils! Lovely Indeed shows you how to make this elegant DIY gold marbled pencil cup. 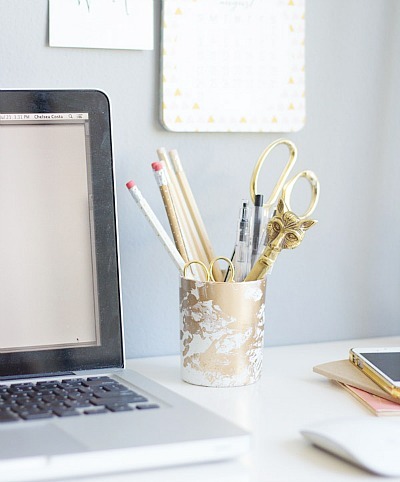 That pencil cup would look great on anyone’s desk! Plus it’s super easy to make. 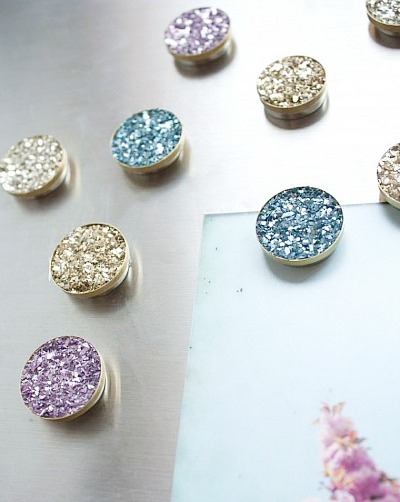 Faux Druzy Magnets would look so pretty in a locker or even on the fridge! Check out the full tutorial at Sisoo. I like crafting with these magnets. 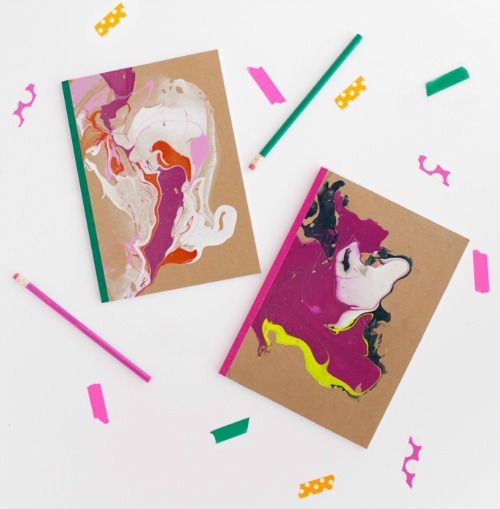 These jazzy DIY Marbled Notebooks from Tell Love And Party are easy to customize with different colors! Delineate Your Dwelling did nine back to school DIY school supply ideas, and this one is one of my favorites! 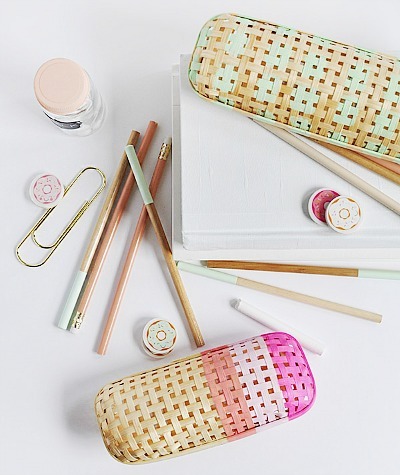 Check out her DIY rattan pencil case makeover and then have a look at all her other projects. You could do this project with a wooden pencil case too. This is a super easy project and one that every one can use. 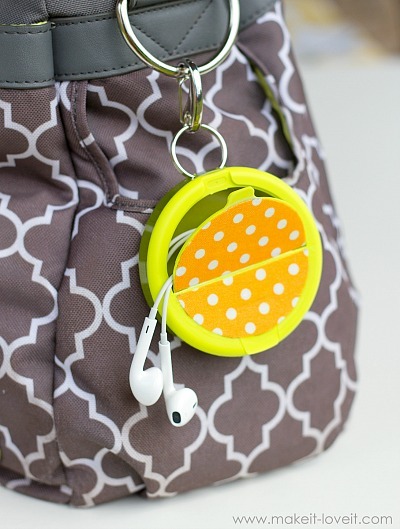 Make It & Love It made these cute DIY earphone holders out of a surprising source! This cute crayon organizer by Sugar Bee Crafts is a great way to gather and store your kids’ crayons. Or you can get the Ultimate Crayola Crayon Collection which comes with a organizer for all 152 crayons! Every kid needs a backpack at the start of the school year! Momtastic came up with a really cool way to personalized a plain backpack. 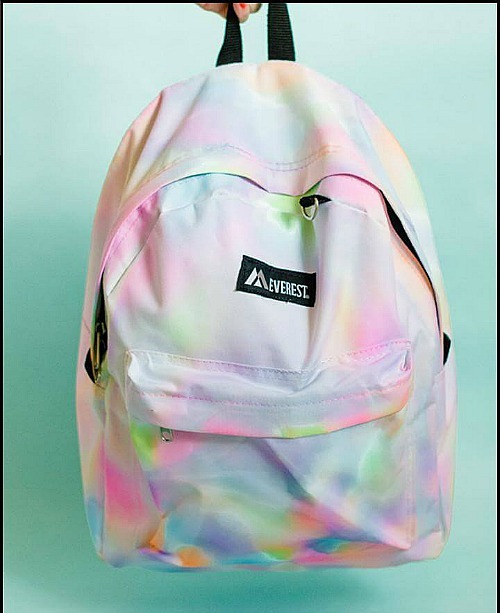 This DIY Rainbow Colored Backpack is so easy to make! Back to school is an exciting time. 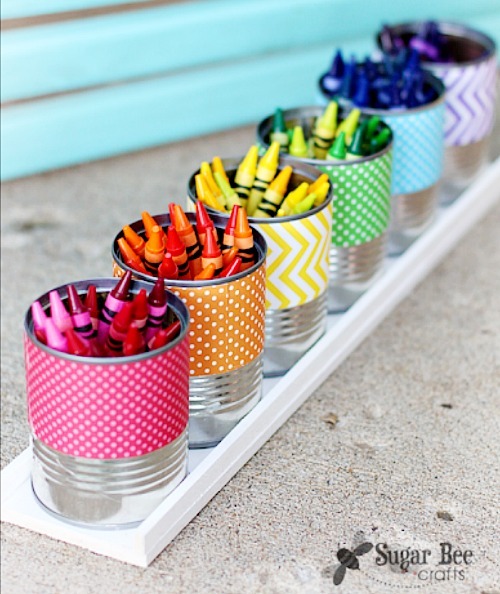 Make it even more special by trying some of these crafty school supply projects! 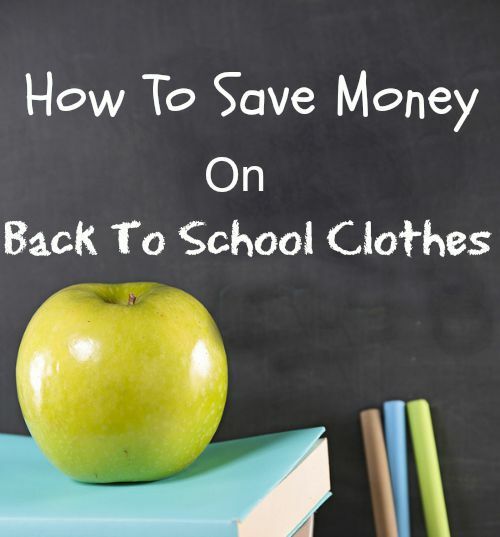 Do your kids usually do any back to school DIYs? What’s their favorite creation so far?